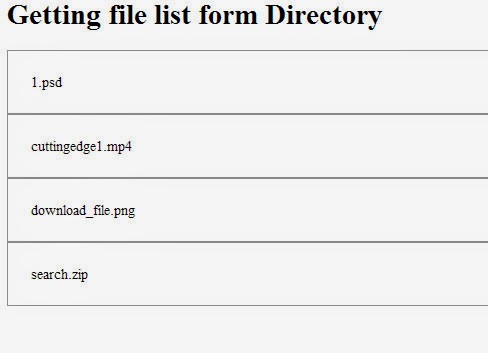 This post i am going to explain about how to get file list from the specified directory using php, This is also very helpful to display your directory file list to your site you can use this concept. This concept only to get the file list only not a file from directory. you should create a directory or folder to the specific location in the name of san web corner. In san web corner folder i am given some of the files for displaying the file name list in website.